Recent statistics from the Governors Highway Safety Association (GHSA) note that fatalities from auto accidents nationwide are declining. Well, all of them except motorcyclist fatalities. According to statistics from the first 9 months of 2011, the number of motorcyclist fatalities has remained the same compared to the previous year, both sitting at nearly 5,000, according to webBikeWorld. The U.S. is seeing some of its lowest fatality rates since 1949. But the number of fatal motorcycle accidents in Boston and elsewhere just don’t seem to budge despite all of the nationwide efforts to raise awareness about these vulnerable drivers. There have been a multitude of campaigns and safety events dedicated to getting drivers to be more aware of our two-wheeled friends on the road but nothing seems to work. This is worrying officials because while we may have just rounded out National Motorcycle Safety Awareness Month, we’re heading into the summer travel season which allows for more bikers to hit our roadways. With more bikers on our roadways, we see higher risks for accidents and ultimately more fatal accidents than any other time of the year. Our Boston motorcycle accident attorneys understand that we’re seeing a lot more motorcyclists on our roadways. It’s the summer, it’s that time of year when the weather clears up, the sun shines through and our two-wheeled friends hit the road. It’s also a time to raise awareness. For that reason, we’re asking motorists to be on the lookout and to help reduce the risk of accidents. 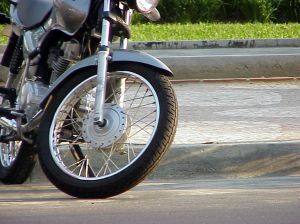 -The improving economy has allowed residents with more spending money to purchase motorcycles. -The high gas prices has more residents riding motorcycles to save at the pump. -Motorcycle helmet laws are lacking in many states. When motorcycle helmets are not mandatory, less motorcyclists wear them. The fewer helmets on our roadways the more fatal accidents we see. Dr. James Hedlund of Highway Safety North has done much research into gas prices and the status of the economy with the number of motorcyclist fatalities and there seems to be a direct correlation between them. When the economy is doing well, the number of motorcycle registrations is typically up and so is the number of accidents. When gas prices are high, the number of motorcycle registrations typically rises as well as the fatality numbers. These patterns have been pretty steady since 1990, allowing experts to pretty much predict when we’re going to see more fatal motorcycle accidents on our roadways. The Massachusetts motorcycle accident attorneys at the Law Offices of Jeffrey S. Glassman, LLC represent those who have been involved in a Boston motorcycle accident. Call 1-877-617-5333 to set up a free initial consultation to discuss your rights.